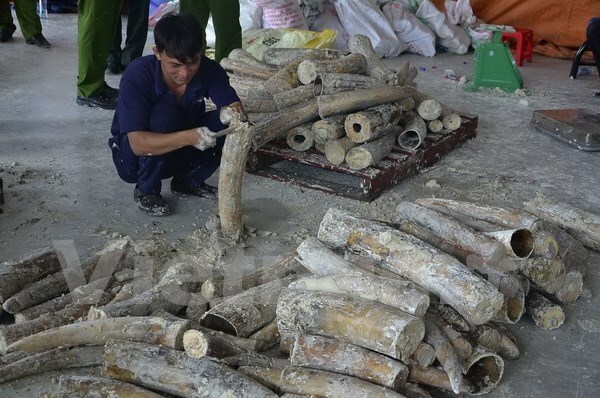 Ho Chi Minh City (VNA) - Customs officers in Ho Chi Minh City spotted nearly one tonne of African elephant tusks hidden in two containers on October 26. Hundreds of tusks worth over 40 billion VND (1.8 million USD) were placed into logs of 2m in length and 30-40cm in width. They were imported from Kenya and in transit in Cat Lai port before being exported to a third country.